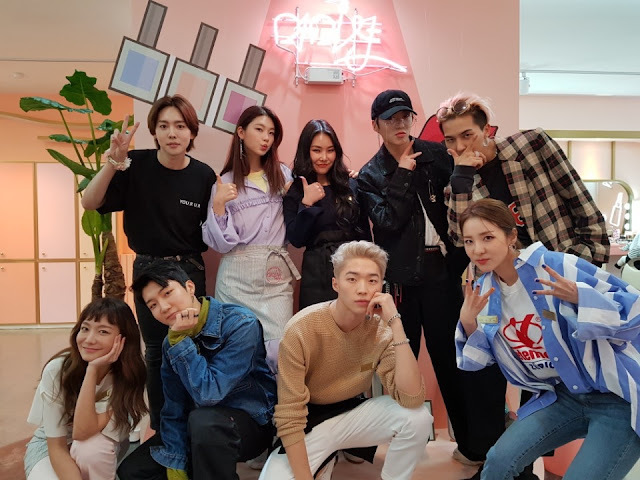 Viu, the go-to streaming platform for the latest Korean and Asian dramas and variety shows, is bringing fans and influencers from Asia to MIMI SHOP in Seoul! MIMI SHOP, the eponymous beauty salon, featured in JTBC4’s popular beauty variety show of the same name and headlined by renowned Korean celebrities, will be the first of more potential regional crossover collaborations between Viu and JTBC4. Viu will be bringing top lifestyle and beauty influencers and lucky fans from five countries in Southeast Asia – Indonesia, Malaysia, Philippines, Singapore, and Thailand – to Korea for an exclusive up close-and-personal experience with MIMI SHOP’s celebrity crew, which includes 2NE1’s Sandara Park, Tony Ahn from HOT, actress Shin So Yul, rapper Cheetah, and model Kim Jin Kyung. WINNER members will also appear on the show as a special surprise crew member. The influencers will get to share the latest beauty trends in their respective countries on the show while the fans will undergo a dream makeover with MIMI SHOP’s celebrity makeup artists. MIMI SHOP is JTBC4’s flagship beauty-reality show that sets itself apart with its down-to- earth concept, giving makeovers to guests from all walks of life while at the same time talking about beauty, dating and life. The influencers and the MIMI SHOP crew will also discuss how the K-beauty scene has impacted beauty trends in their countries. The influencers include Indonesia’s Anya Geraldine (@anyageraldine), Malaysia’s Alicia Tan (@aliciatal), Philippines’ Ana Gonzales (@anagon), Singapore’s Soh Pei Shi (@speishi), and Thailand’s Natawan Pormchaichapen (@Mhunoiii). In addition, five lucky fans from different walks of life across Southeast Asia will receive a personal makeover by MIMI SHOP’s celebrity artistes. As huge fans of MIMI SHOP, they hope to pick up useful makeup tips from their idols. For some of them who have confessed that they are clueless about makeup, they hope that the experience will help them learn how to apply makeup properly and wear it with confidence. The Viu X MIMI SHOP special will be aired as two episodes on 22 and 29 August 2018 during MIMI SHOP Season 1’s run, and the entire season will be broadcasted concurrently on JTBC4 and Viu. MIMISHOP airs every Wednesday at 8.30pm on JTBC4, and available on Viu every Thursday.